Treating irrigation water with a biocide will minimize the growth of organic contaminants and often destroy the organic material, minimizing the clogging hazard. 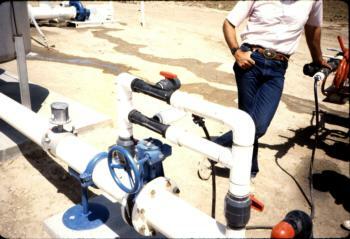 Three biocide methods are commonly used to treat irrigation water. In addition, use of acid is sometimes recommended for biological clogging problems. There are also a number of water treatment devices on the market which claim to control biological clogging problems.